Need a break from Thanksgiving and Black Friday? 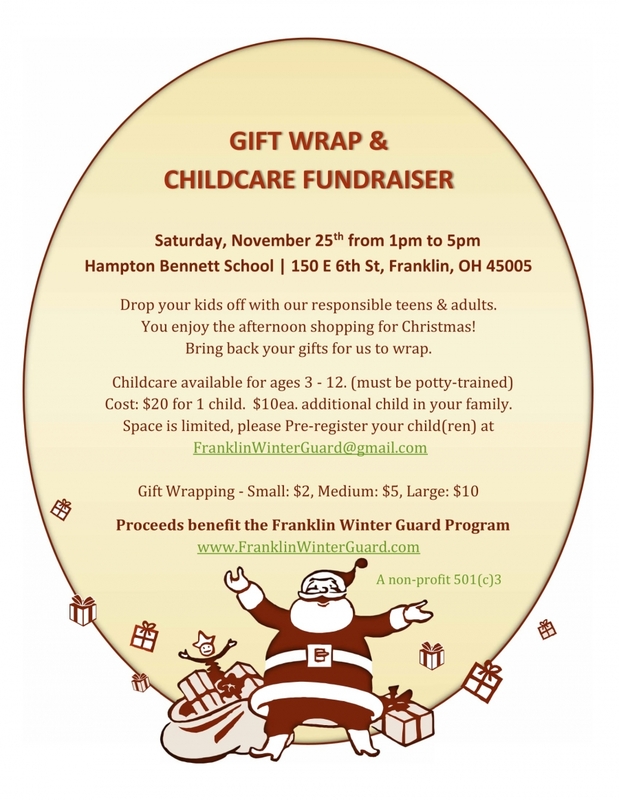 The Franklin Wildcat Guard Boosters is hosting a child care and gift wrapping event November 25th from 1-5pm at Hampton Bennett. Please see the attached flyers. Please register your child at franklinwinterguard@gmail.com space is limited.